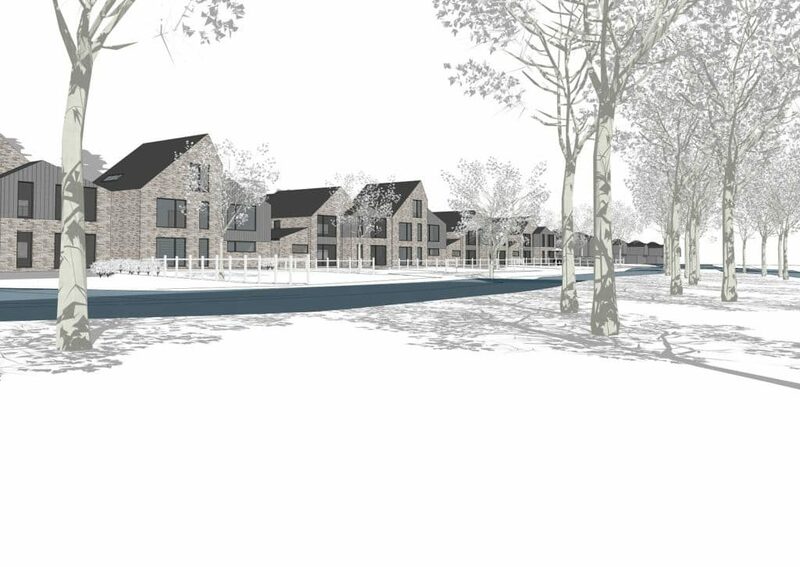 Our scheme of 11 detached units on the river’s edge in Huntingdon has received delegated planning consent from Huntingdonshire District Council. This site, a former gas depot, lies on the banks of Alconbury Brook with a large flood meadow known as Portholme Meadow situated opposite, which is a designated Site of Special Scientific Interest (SSSI). The site is situated within the Huntingdon Conservation Area, and partly within designated Flood Zone 2. Other constraints included mature trees on the northern boundary and possible ground contamination. The previous owner (Britch Gas PLC) failed to obtain planning consent on this sensitive site and subsequently sold this on to H.C.Moss (Builders) Ltd who appointed us with the difficult task of obtain planning approval. The proposal follows a linear pattern of development on the river frontage with detached houses facing Portholme Meadow. This layout reflects the pattern of development at Waters Meet adjacent. The scale of these begin at 2 storeys at the exposed south east corner of the site, and then increase to 2.5 storeys behind the island tree belt, which separates the meadow from the application site. These riverside dwellings would be served by a new private access road (built to adoptable standards) on their northern side, allowing the houses to have private gardens leading down to Alconbury Brook. This approach distances the access road and associated car parking from the meadow’s edge and allowing for future soft landscaping. ‘Level compensation’ is used to offset any loss of Flood Plain, which was the subject of protracted negations with the Environment Agency. On the northern side of the site, a second tier of development is proposed. These units are slightly higher (at 3 storeys) but less in number and more widely spaced. They have been strategically positioned to avoid any adverse impact on neighbouring properties, and set away from the open eastern boundary. These units create an ascending scale which helps to provide a greater variation in roof-scape against the landscape backdrop which is considered to enhance the scheme. The layout and detailed design of the units has been conceived to create a contemporary scheme which responds to the unique riverside setting. The houses themselves are designed with a series of irregular gables facing the meadow. This form echoes the abstract outline of a series of water mills that are understood to have once occupied this stretch of river. The proposed palette of external material has not yet been finalised. However, a timber cladding to the upper storeys with weathered facing brickwork below is being considered to relate to this typology. Construction is due to commence in Autumn 2018. Winners of Cambridge Property Awards 2017 and 2016 for ‘Best Small Development’. Finalist in Cambridge Design & Conservation Awards 2017. Finalist in LABC Technical Excellence Awards 2018. Finalist for 'The Award for Excellence in Architectural Technology 2018'. 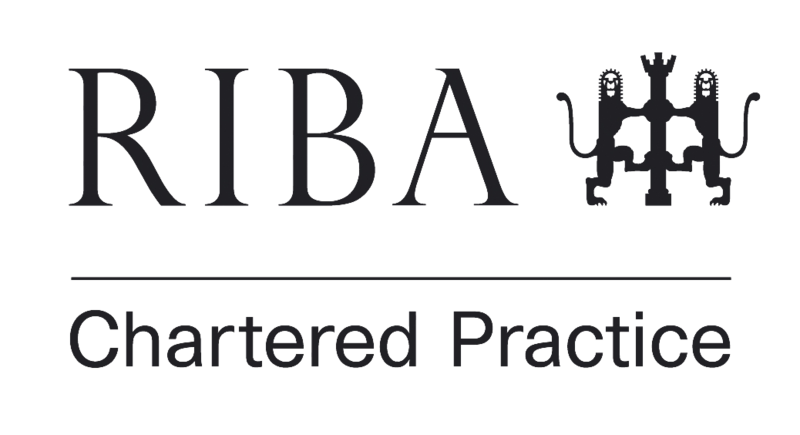 Our Cambridge architectural practice was founded following the dissolution of DPA Architects Ltd (formally David Page Associates) and Once Architecture Ltd.
See 'Portfolio' tab at top of page for all projects.